Aiming to minimise costs and gain a competitive edge, HMD Global, maker of the Nokia branded phones, is looking at maximising its component eco-system in India in the next 2-3 years. Although its manufacturing partner in India currently is Foxconn, the company is on the lookout for new partners which will help it set up the local sourcing eco-system. “Right now there is no decision on whether we are going ahead with partners other than Foxconn, but we are constantly scanning the market and will look at options if needed. The idea is to deliver the best product at the best economical price possible. We could look at other opportunities with various manufacturers,” Ajey Mehta, vice president and country head of India at HMD Global, told Business Standard. According to Mehta, while HMD Global is attempting to adhere to the phased manufacturing programme (PMP), substituting import of certain components may benefit the company substantially. “Certain components require a 20 per cent duty – so if we can manufacture locally, we save a lot. It is a very price competitive industry and we will look at being as competitive as possible and it starts with the cost”, he told this newspaper. PMP is an initiative of the electronics and information technology ministry which promotes domestic manufacturing of handsets and sub-assemblies. Under this scheme, a countervailing duty at 12.5 per cent on imports alongwith a one per cent excise duty without input tax credit was made available to domestic manufacturers. While the PMP specified certain timelines to achieve indigenisation of mobile phone handsets, HMD Global is of the view that other than chargers, the pace is slow for batteries and other components. “The government has also extended the PMP for displays and touch panels because they also realised that the entire eco-system in India is not ready for that. In line with the PMP, we would also like to locally source”, he told to this business daily. After staging a comeback around 18 months back, the Nokia brand of phones has moved from the 17th position to the eighth position in smartphones while in the feature phone segment, comprising on 2G-3G handsets, Nokia finished at the third spot in 2018 in India. In the next 2-4 years, HMD Global is eyeing to be among the top three players in the country and Mehta believes that new product launches will play a pivotal role in this endeavour. During October-December 2018, the brand had a 3.5 per cent market share in smartphones and about 8.5-9 per cent in feature phones. Asked about its market approach and consumer connect, Mehta said that while HMD Global continues to adhere to the core values of Nokia, it’s “rendition of the market is very different” as compared to its older avatar. “It’s very digital-first kind of approach now. We have also leveraged millennial focussed approach like Alia Bhatt, who is our brand ambassador; and the association with Kolkata Knight Riders (KKR). We have associated with assets which are appealing to the millennial”, Mehta added. After its 2-year sponsorship agreement with KKR will lapse this year, it will review its association with this IPL cricket team expectedly in September-October this year. 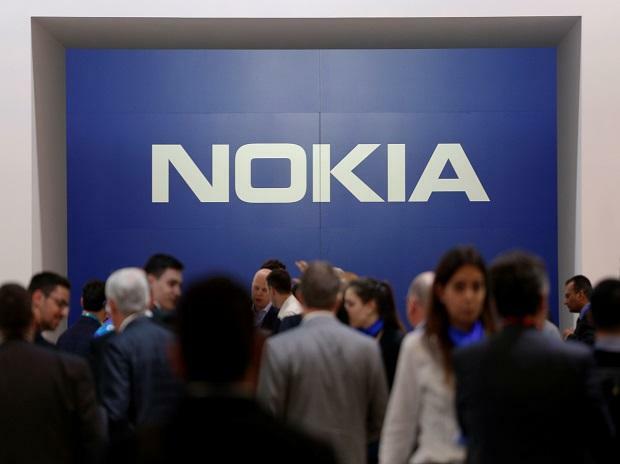 While the Nokia phone maker is now getting around 35-40 per cent of its total sales from online channels, which is driven by purchases by the youth, it is focussed on having a strong offline sales channel. “For us, the offline channel is more important because we believe that the customer needs to touch and feel the product before they buy; but we also need a presence online because that is where the millennial are going to look out for the products”, he concluded. At a later date, based on the market response, HMD Global may opt to revive its once dominant Nokia Priority stores.